In food processor, combine marinade ingredients. Process until smooth. Put shrimp in large plastic bag and pour in marinade. Press out air and seal bag tightly. Turn bag to distribute marinade and refrigerate 30-45 minutes. 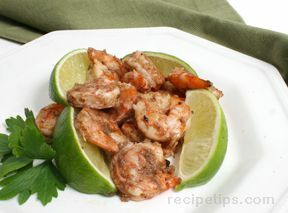 Remove shrimp from the bag and discard the marinade. Thread shrimp on skewers (through head and tail to prevent them from spinning). Grill over direct high heat until shrimp are firm to the touch and just opaque (2-4 minutes), turn once. 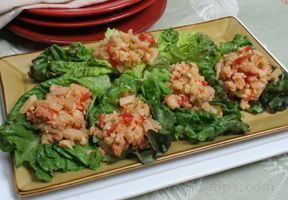 Place on serving platter, squeeze a little lime juice over shrimp, and serve warm.